On this day seven years ago my husband and I walked into a hotel room in Nanchang, China and met the 10-month old baby girl who would become our daughter. I had waited a lifetime to become a mom and this particular part of the journey had taken five years. The term “Gotcha Day” is used among adoptive families to refer to the day on which the child became part of the family. In our house, it’s up there with birthdays and Christmas in importance to us all. During my long wait to become a mom I often thought about what it would be like when I first saw the baby’s face. I thought a lot about how I would feel and what it would mean to me. What I hadn’t counted on was how moved I would be by the tears of our daughter’s foster mom, who had cared for her since she was just a few days old. We only had a few minutes with her foster mother and the translator. I had planned to ask the foster mother a bunch of practical questions about our daughter that seemed totally inappropriate once I saw her tears. Instead I found myself reassuring her and telling her that in our home we would always speak of her with great admiration and appreciation. I promised that we’d stay in touch and I have kept the promise. She handed me a letter written in Chinese that we later had translated and is among my most cherished possessions. In the letter she wrote poetically of how much she had enjoyed sharing our daughter’s first 300 days and what a good baby she had been. Suddenly I realized that not only would our daughter’s birth parents be missing her now but so would this lovely woman and her family. In the midst of one of the happiest days of our lives, she was experiencing sadness and loss. Suddenly I realized that with every abandoned child who is adopted that there are scores of people who will miss seeing that child grow up and seeing what they could have contributed to their family and country. Although I understand the reasoning behind the One Child Policy in China, the human toll that it takes on families is brutal. Soon after returning to the US, I began thinking (between diaper changes and formula mixing) about the importance of capturing the bittersweetness I experienced in that hotel room months before. The above quilt, entitled Daughters Lost and Found, was what I made to share with my daughter when she’s older. I wanted to be able to convey to her my complex emotions about her heritage. It was sometimes hard but in the end a profoundly moving experience for me to think about the emotions of all of the people involved. There was my own bliss at being a mom and feeling as though we had won the lottery with this baby who had a vivid personality at such a young age while also feeling regret that her birth family would never know what a happy family she had been placed into. It was not the uncomplicated scenario into which my friend’s babies had been born. 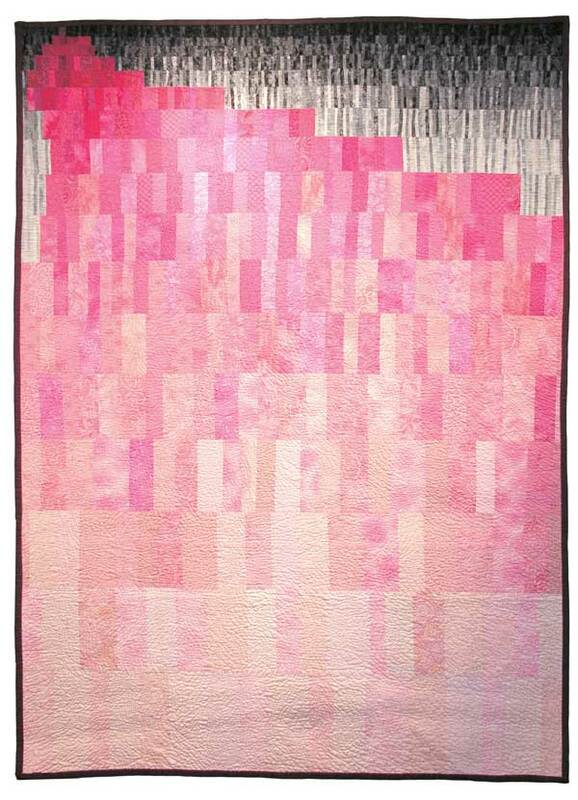 In the quilt, the pink rectangles represent the flood of girls being adopted and the happiness that they will bring to their new families. The gray strips remind me of the birth and foster families who will miss them and miss watching them grow up. To give you a sense of the scale, each of those gray strips is ¼” wide. I share this all with you because someone told me recently that President Obama’s Chief of Staff Rahm Emmanuel is rumored to have a sign on his desk that reads, “Never let a crisis go to waste.” The suggestion is that if you look for the opportunity for it that positive change can come from a crisis. I’m taking this idea in a slightly different direction because I believe that from intense emotions can come beautiful expressions. Things made thoughtfully will always be our most cherished possessions. Intense emotional responses, both happy and sad, inspire creativity if you’re brave enough to let them come out. I’m glad I did. i think about those kinds of losses every day– and how to frame them for my kids and their *people* that live so far away. What a beautiful quilt and a beautiful story. Thanks for sharing such personal details. It sounds like both you and your daughter are truly blessed. Gorgeous quilt and a very moving story to go with it. Thanks for sharing. For anyone who has a child or a family or a heart–What a beautiful and profound quilt and message. Thank you for sharing. Thank you so much for sharing this beautiful story that inspired such an exquisite quilt. We too often neglect to utilize the creativity formed by intense emotions and situations which you remind us. Makes one think. I did not know that you had an adopted daughter when I subscribed to your blog. 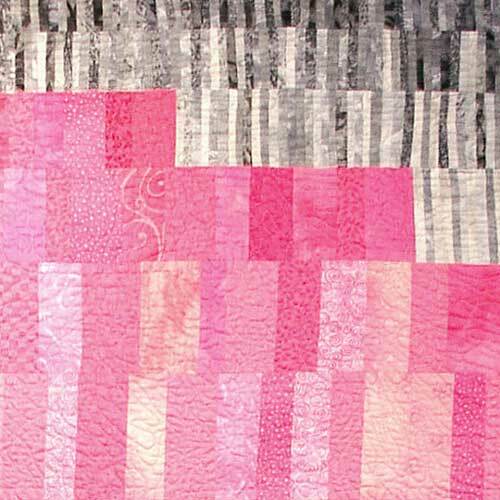 I just loved looking at your beautiful quilts. I, too, have adopted from China. My beautiful girls are 7 and 5 and have blessed my life for 6 and 4 years respectively. I am so glad that someone else understands the emotional pain that goes with the happiness of that day. I remember flying out of Hong Kong on our way home and crying uncontrollably. I thought to myself “How could I take this little girl away from the country of her birth?” I knew I was doing the right thing for both of us but still the emotions run deep. And they are not always happy ones. What you took from that moment is more beautiful and precious than anything you have showed us before. I hope you have a wonderful day and celebrate your family big time. 20 yrs ago a dear teacher went to China to find her daughter too. From that time on I have watched in awe as all the sweet girls find their way home and into loving arms. And then I read Luana Rubin’s journal as she also went to find her daughter Sophie and I will celebrate with your family and admire the depth of emotion in this lovely heirloom. A joyful day for all three of you! Aww, you made me all weepy. And what a beautiful, bittersweet piece of art you have created. The day my grandson arrived from South Korea is one of the most memorable in my life. The woman who escorted him here spoke no English and I, no Korean. But our embrace, smiles exchanged and tears said it all. In just moments I became a Grandma and made a friend. I may never see her on this Earth again, but I know, like me, she too thinks of that day often and of that other woman, continents away but never farther than our thoughts. I am so moved by this story, and by the artwork that results. Such fine, intricate work — truly honoring those who have lost these beautiful girls, and the joy of those who receive them. What a lucky daughter to receive these gifts from you. As an adoptive mom who went through those bitersweet moments only two months ago, I appreciate your words, insight, and amazing quilt! This quilt is gorgeous. Thank you for such a beautiful post.